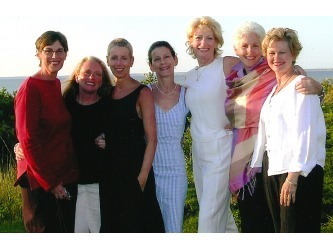 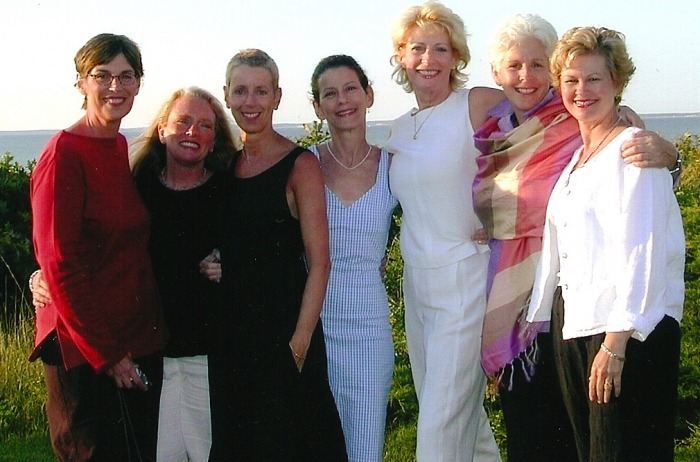 (L to R) Sue Cannon, Mary Zabell, Karen Bean, Judy Estroff, Janet Armstrong, Beth Fredericks, and Rena Calvert. 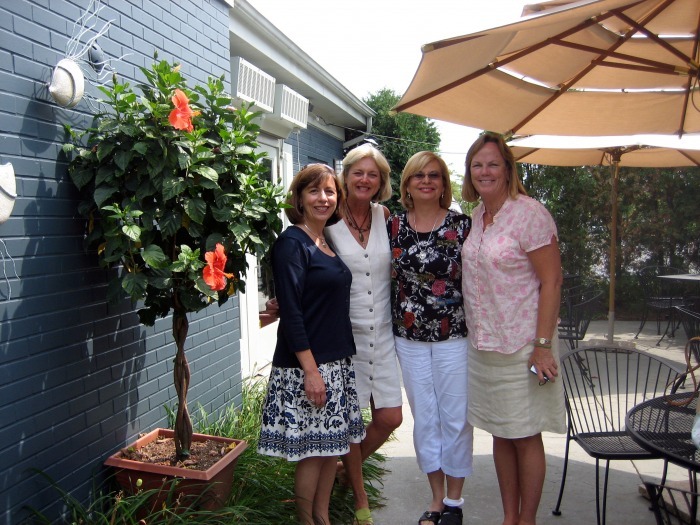 Mini-reunion aka GNO. 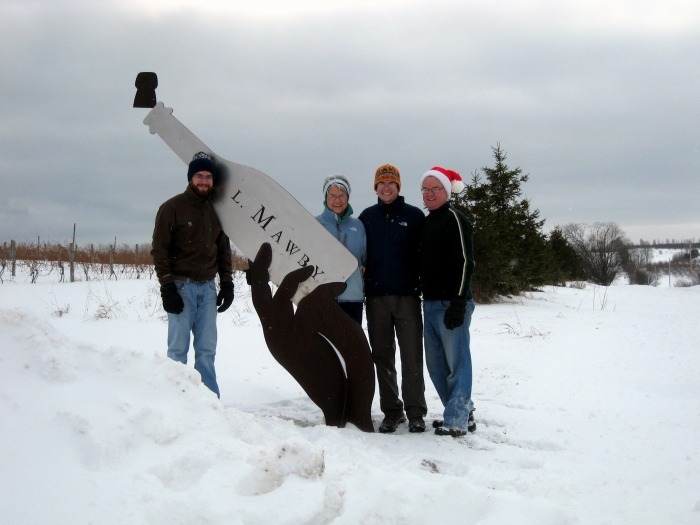 (L) Sharon (Herrick) and Stu Lainge with their sons, Mike and Peter, next to their business sign, L. Mawby Vineyard, Suttons Bay, Michigan. 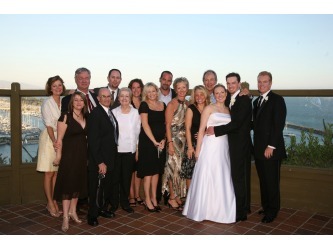 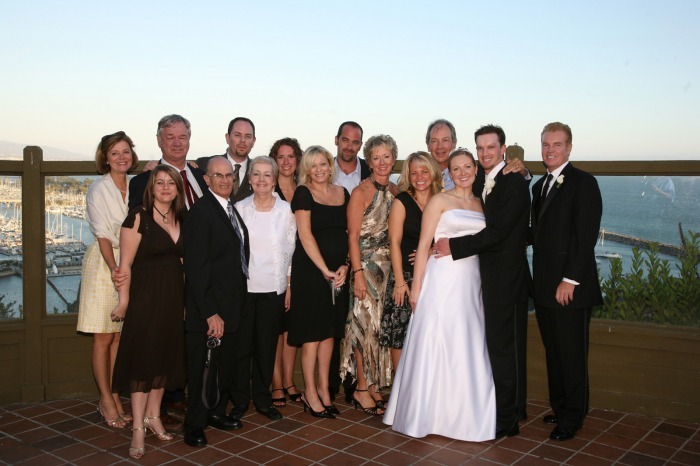 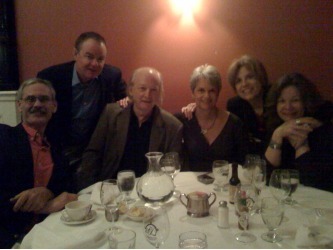 (R) Sharon (Herrick) Laing and her husband Stu with friends and their husbands in New Orleans, March 8, 2009. 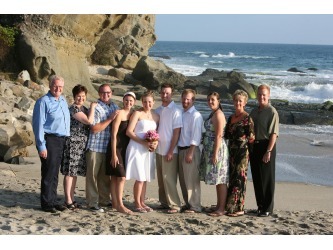 The above photos are from a Rafferty wedding celebration. 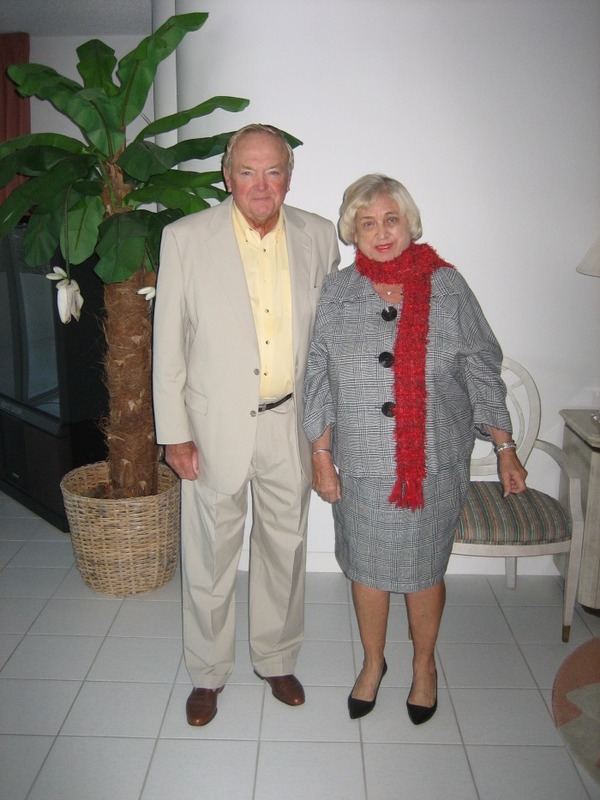 Pictured are Ruth's son, Jack Rafferty Mills, and his wife. 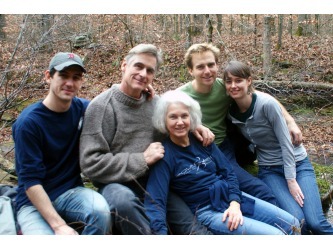 Their son Ian, Steve and Louise, son-in-law Isaac and daughter Alice. 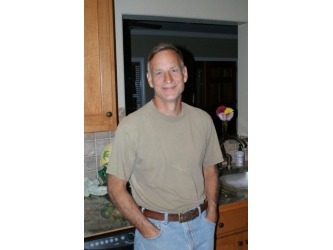 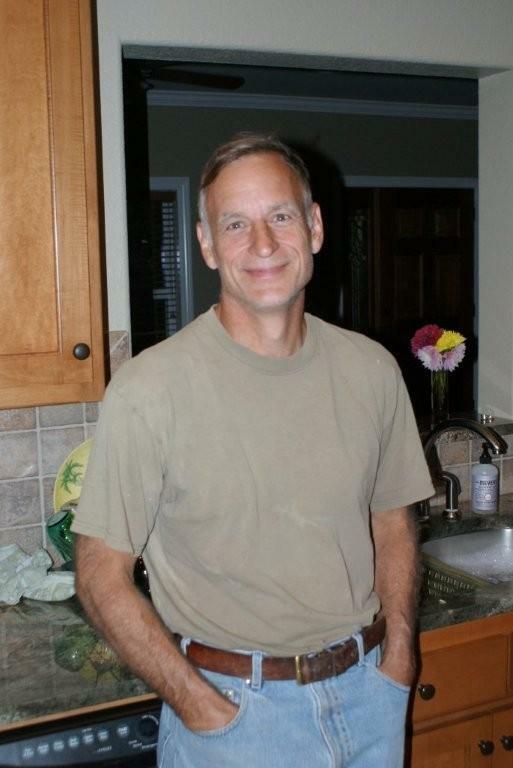 Photo taken by Larry in the Ozarks. 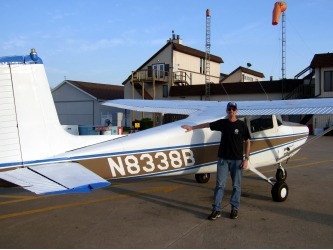 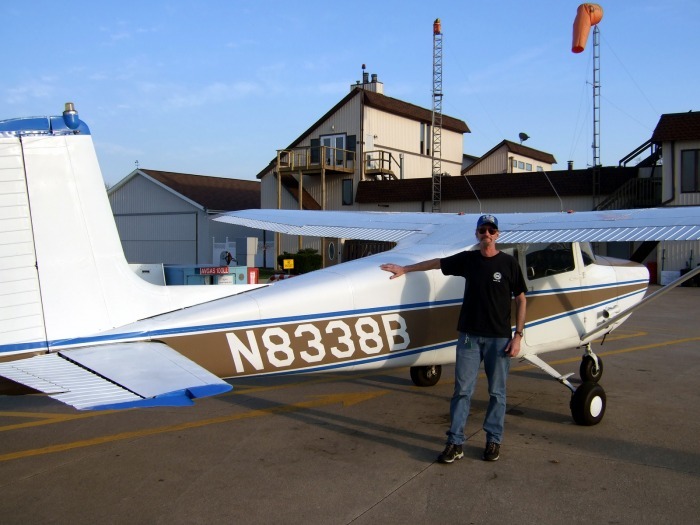 Left: 1st year of Mark's Dream Machine, ownership 4-18-2007, at Wadsworth, Ohio. 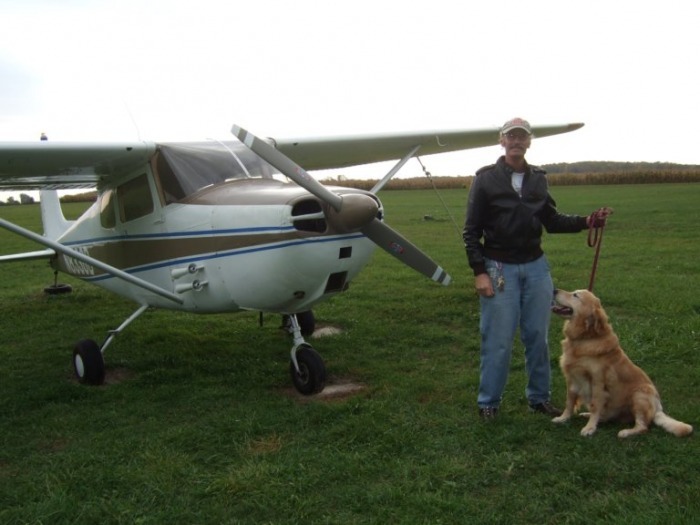 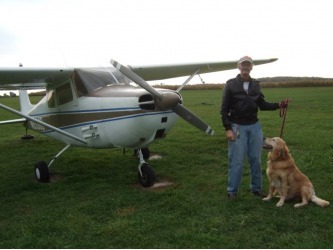 Right: Even the dog approves of Mark's 1857 Cessan 172, Croswell, Michigan. Left: Linda Shahan DePietro, Peg Maass McAllister, Sue Dickson Carlson, Sue Van Lopik Cheslik. 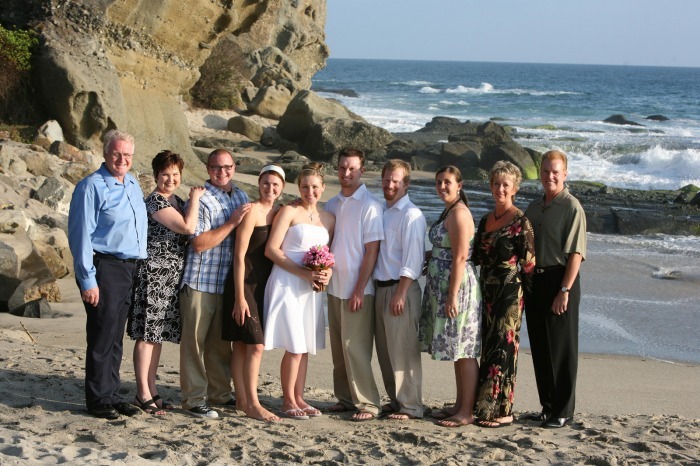 Summer 2008. 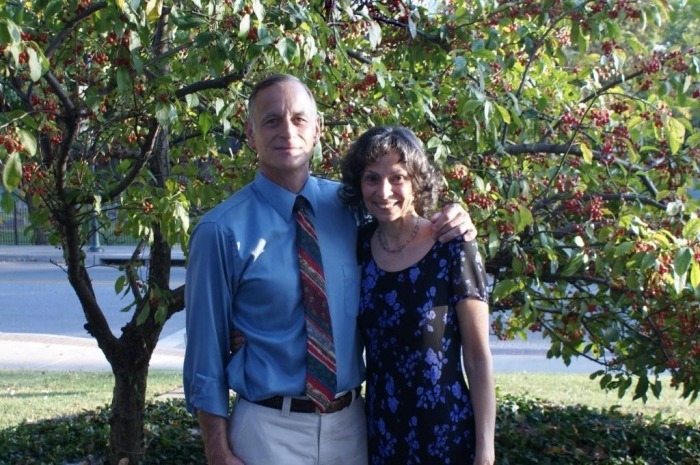 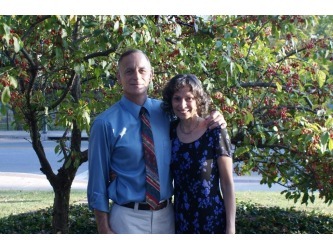 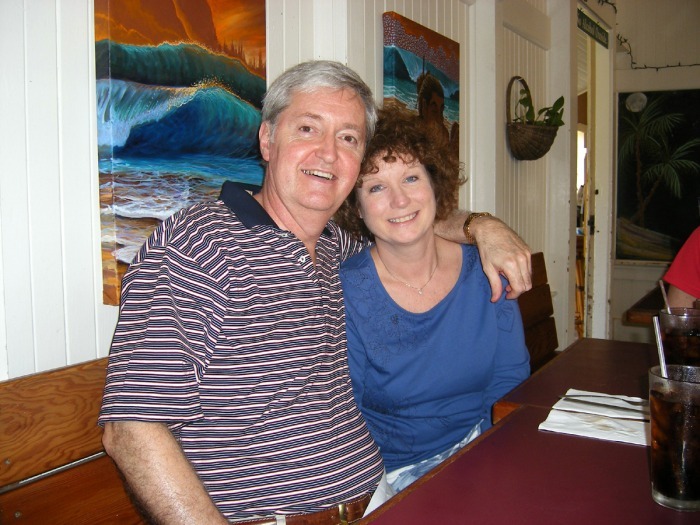 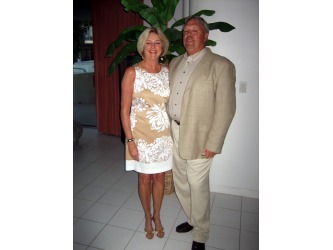 Right: Peg and her husband, Tom. 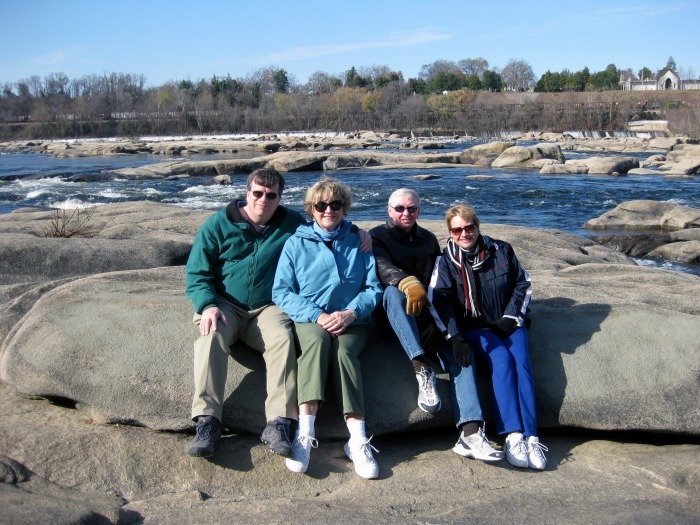 Left: Peg's parents, Al and Dorothy Maass. 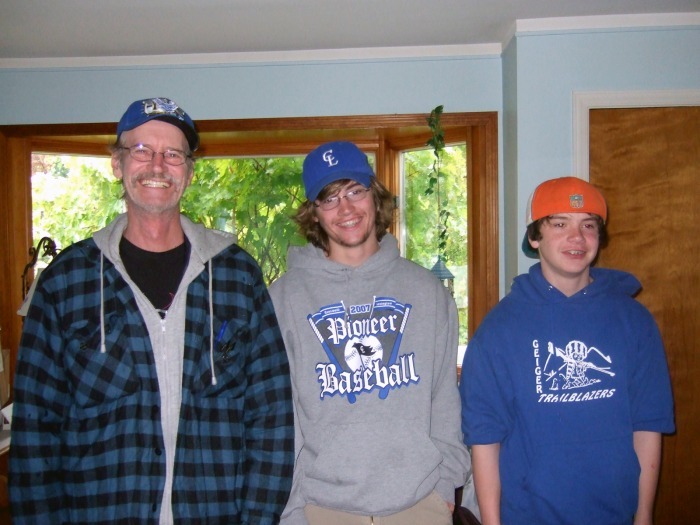 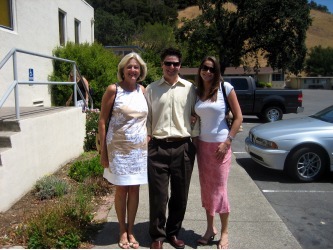 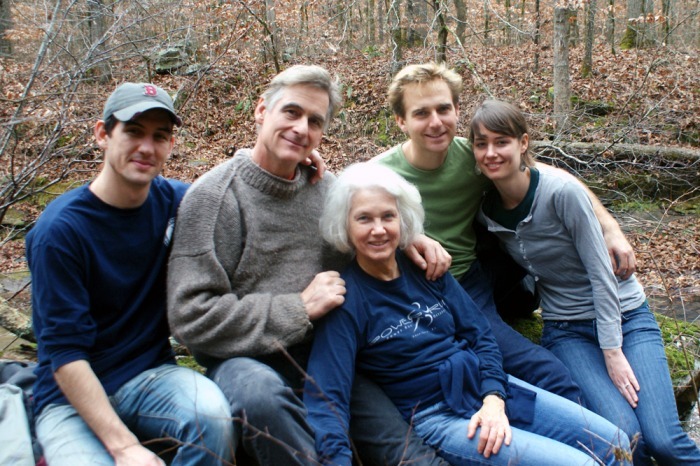 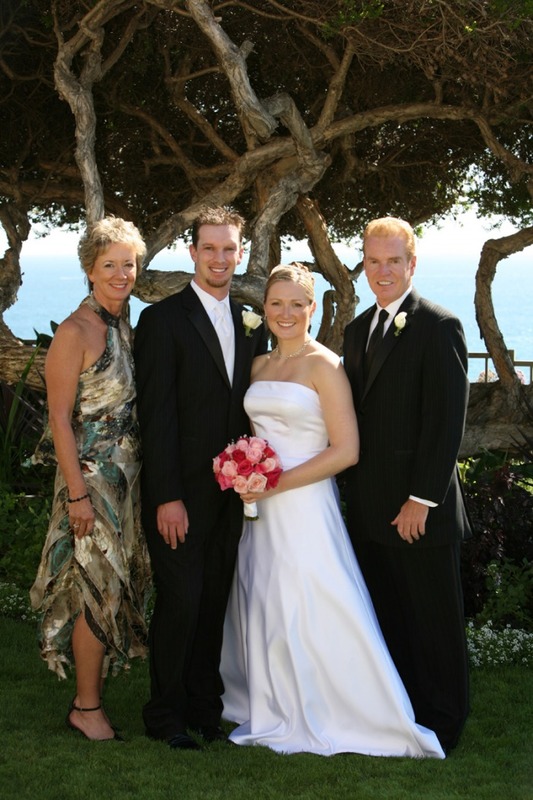 Right: Peg and her kids, Time and Robin Laskoski. 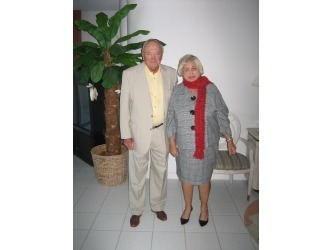 Left: Nancy and her husband, Alan, St. Petersburg, Russia, June 2004. 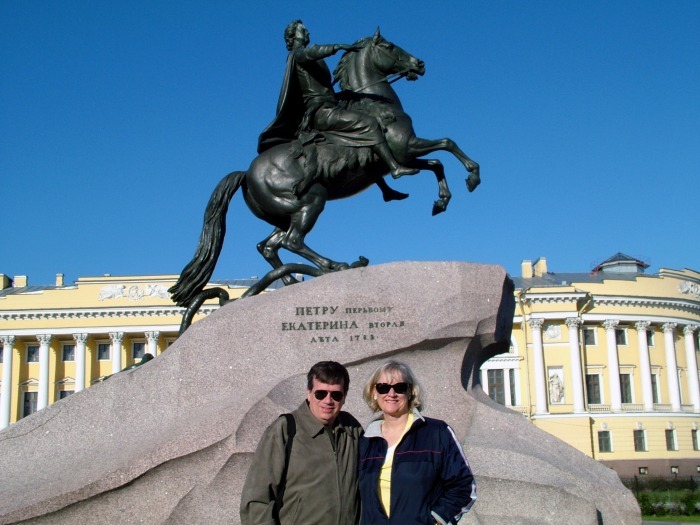 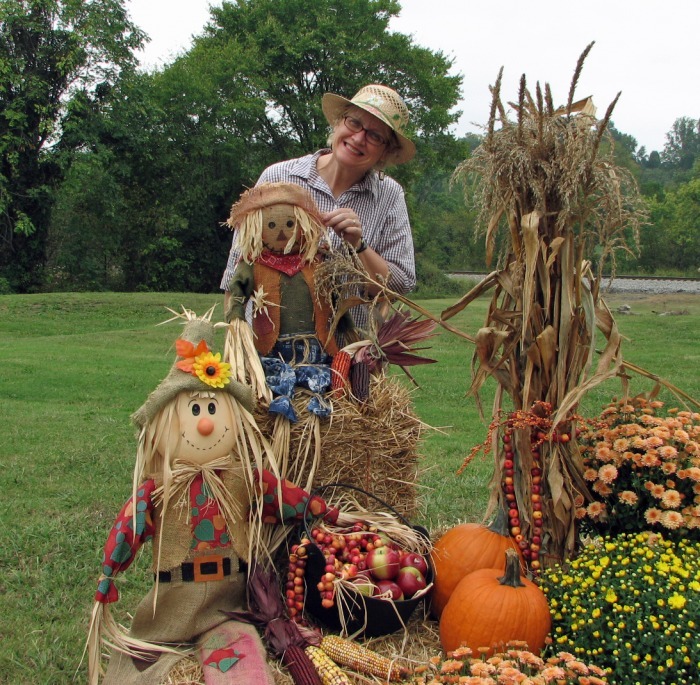 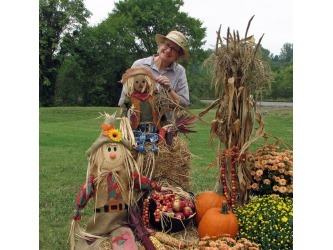 Right: Nancy in Petersburg, Virginia, October 2007. 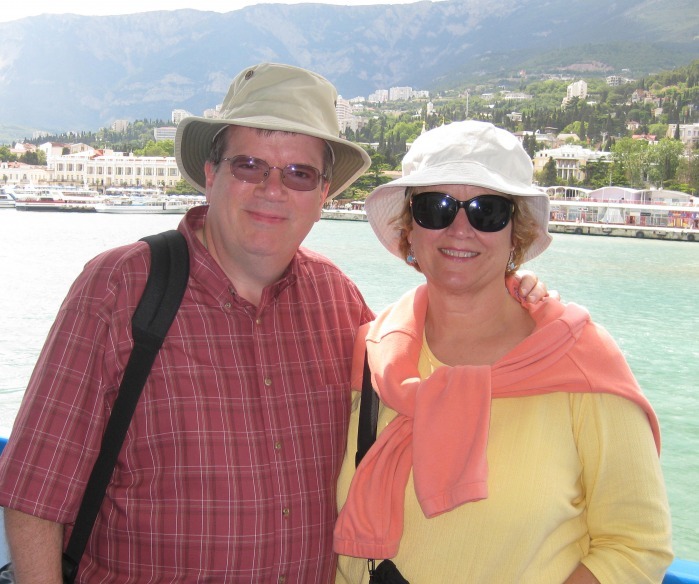 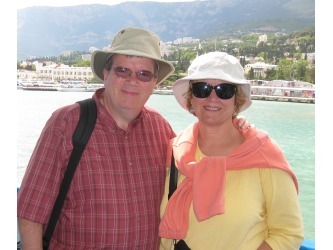 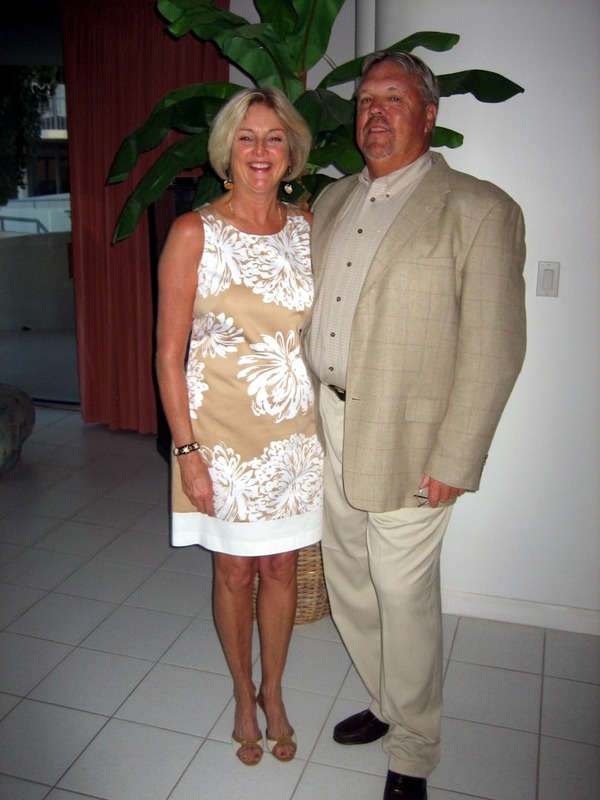 Left: Nancy and her husband, Alan, on a Black Sea River Cruise, June 2008. 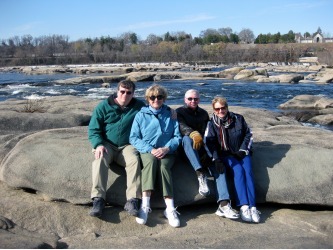 Right: Alan and Nancy with her sister, Susan (Groves '67), and her significant other, James River, Richmond, Virginia, Nov. 2008.